Forget rumors and *gasp* blogs: if you want to get your hands on legit cutting-edge gadget news, the FCC is the place to be. Take these diagrams, taken from the FCC’s website, of what are supposed to be Creative’s contender for the touchscreen-crazy PMP market, the Zii. That by the way is an extremely awkward name for a device. Not what you’d expect from a company named “Creative”. As you can see, Creative may be planning on trumping the Walkman X , the iPod touch and all other PMPs by including an HD camera in their device. 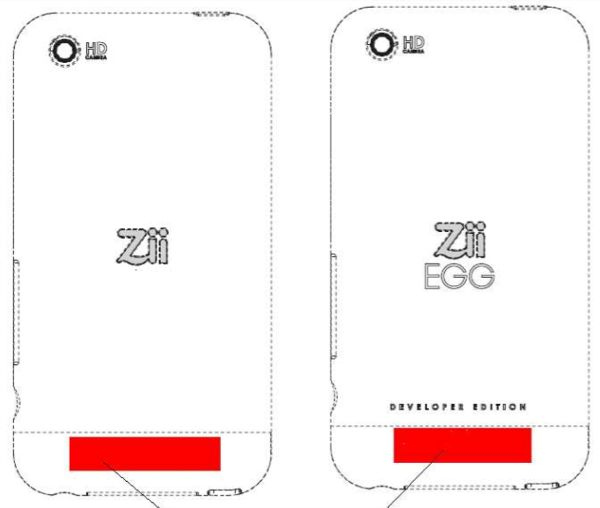 Engadget‘s Thomas Ricker also reckons that the “developer edition” Zii EGG (seriously, wtf is up with these names) means that Creative is intent on going Apple’s route, e.g. apps, making the Zii more than just a media player, just like the iPod Touch. Hopefully the price won’t be as ridiculous as the gadget’s name.